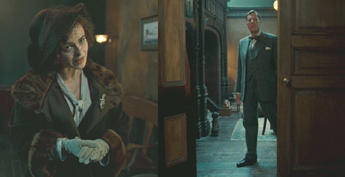 Bertie's wife Elizabeth (Helena Bonham Carter) reaches out to another therapist, an Australian named Lionel Logue (Geoffrey Rush), whose less fashionable practice nonetheless comes well-recommended. Logue offers to help "Mrs. Johnson" and invites her to bring the patient around.ELIZABETH: Naturally he wishes to be cured. My husband is required to speak publicly. LIONEL: Perhaps he should change jobs. 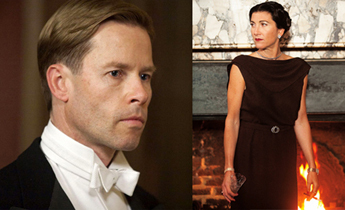 Meanwhile, Buckingham Palace is roiling from the growing scandal of Bertie's brother David (Guy Pearce) and his affair with the American socialite Wallis Simpson (Eve Best). 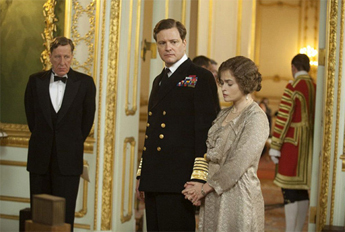 After taking the throne following the passing of George V in 1936, David - now Edward XIII - is informed that he must make a choice - he cannot be crowned king if he marries the twice-divorced Mrs. Simpson. BERTIE: I say that continually, but apparently no one's listening. LIONEL: Long pauses are good: they add solemnity to great occasions. BERTIE: Then I'm the solemnest king who ever lived. No spoilers here. I would like to let everyone know that this is an excellent film. I enjoyed it this week at the Mill Valley Film Festival in Marin County, CA. 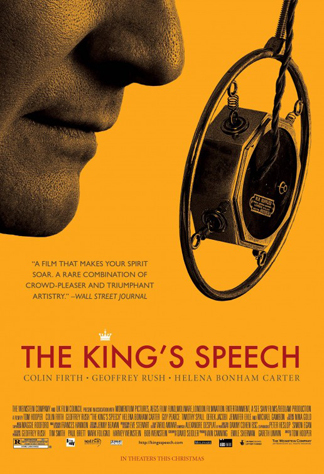 Given the outstanding cast and director, and my fascination with historical figures, I had high hopes for this film, though mixed with a certain resignation that I might be disappointed. 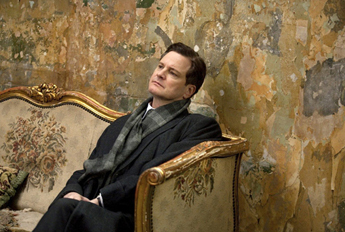 There was no way I could have imagined how wonderful "The King's Speech" would be. There was abundant humor without the film ever becoming a comedy, drama without dreariness, and many deeply moving moments. 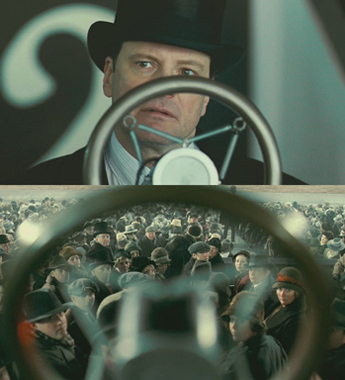 I can't praise this film enough. It boosted my appreciation of the human capacity to become our best selves, and rise to meet even the most daunting challenges.